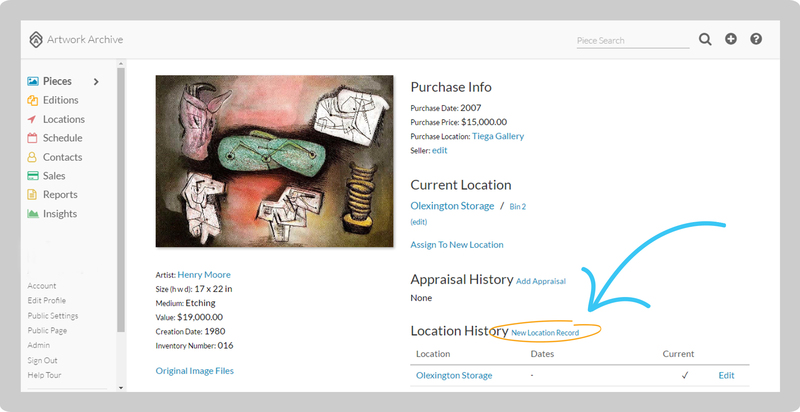 While a general Location will work for most of your needs, there are times when you need an additional level of specificity about an item's location. 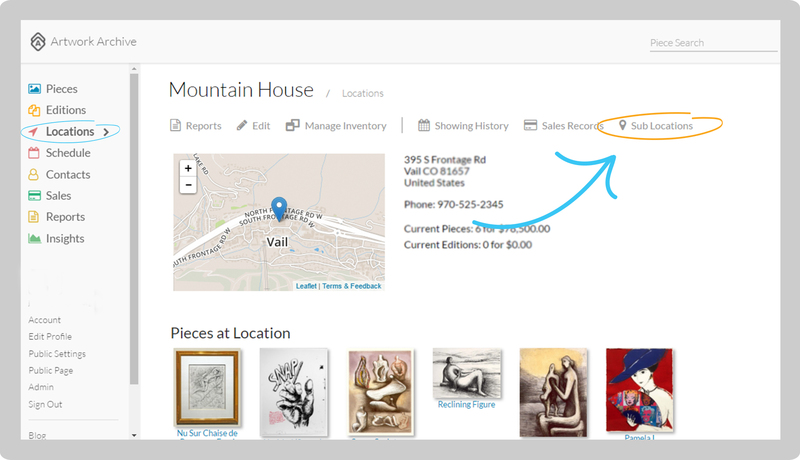 Sub Locations give you the ability to store even more detailed location-related information. An example of this would be a situation where you have a storage facility and want to have a more specific description of where the item is located i.e. Storage Facility: Bin 20. Where "Storage Facility" is the Location and "Bin 20" is the sub-location. This is also handy for drawers, floors, and other situations that call for more location detail. Note: Sub-locations are available only on Organization plans. How do I create a Sub-Location? There are few ways to do this and here are the most common. Click on Locations in the left-side menu. Then click New in the top menu. 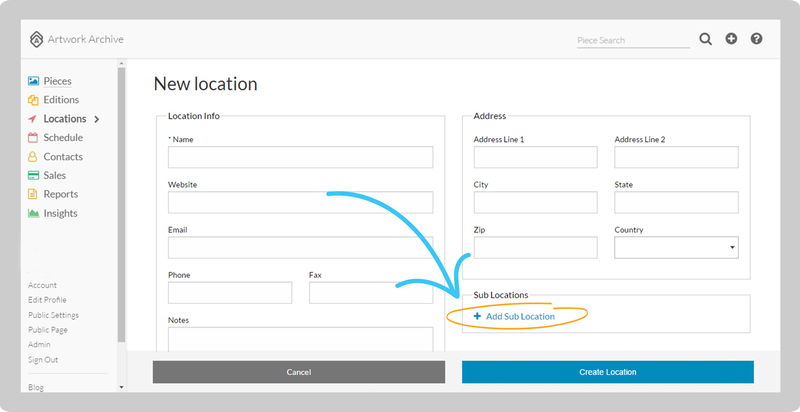 During the process of adding a new Location you can add Sub Locations by clicking the blue Add Sub-Location on the right-hand side. 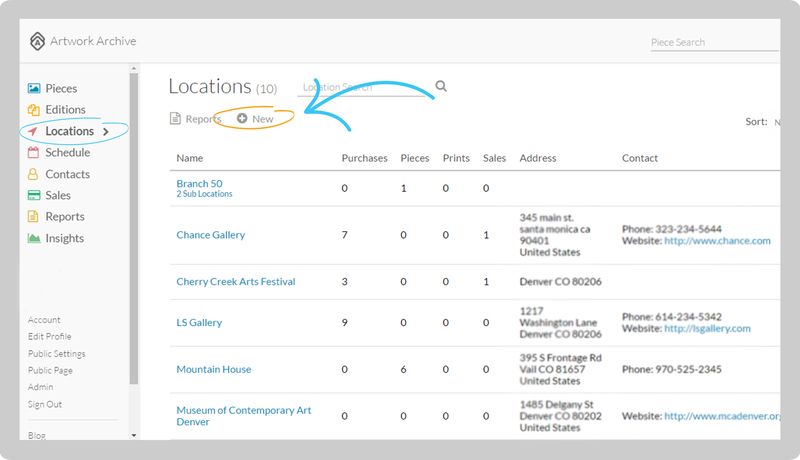 Click on Locations in the left-side menu and then select the Location to which you'd like to add a Sub-Location. Once on that Location's page, you can click Sub-Locations in the top menu. Then select Add/Edit Sub Locations. This will allow you to create a new Sub-Location for that Location. How do I assign a Piece to an existing Sub-Location? Click on Pieces on the left-side menu. 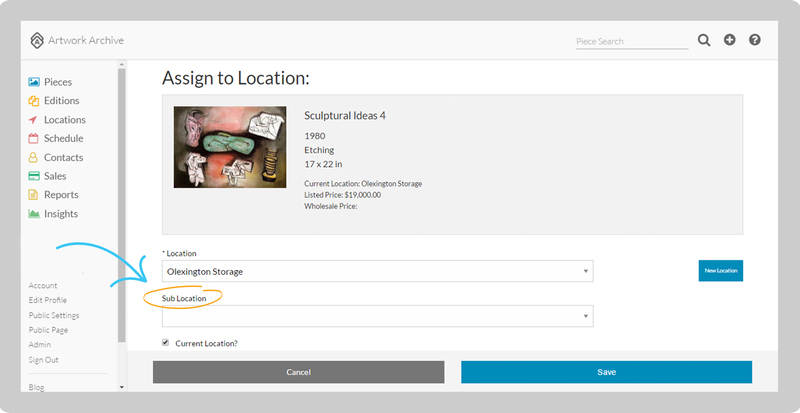 Select the Piece you want to assign to a Sub-Location. Then click on the blue New Location Record next to Location History. Choose a Location from the drop-down menu or click the New Location button and enter the information. Choose the Sub-Location from the drop-down menu. Click Save.